Here at Great Harvest we use wheat by the truck load from farmers hand picked for their quality. Our wheat is grown in the golden triangle of beautiful Montana where growing conditions are consistently perfect to produce wheat that is high in protein and full of great flavor. yeast and salt- simple & from scratch. 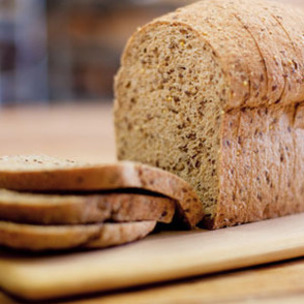 Using 100% whole wheat flour helps give our bread a moist, nutty, rich, & natural taste. 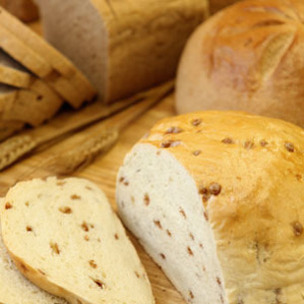 We are proud to only use honey or molasses in our breads, & the most natural ingredients to yield a delicious loaf of bread. 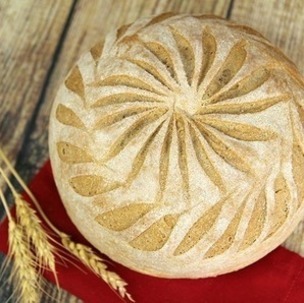 Feed your family with the best bread on planet earth. 100% = A 100% whole wheat flour product. * = Contains some whole wheat flour. IT TAKES MORE TIME AND ATTENTION TO MAKE A LOAF FROM SCRATCH, BUT THE TASTE IS WORTH IT, trust us. or oils for dipping in. Enjoy the sweet goodness of cinnamon chips in every bite. Flour, cinnamon chips, honey, and ground cinnamon. Makes a heavenly French toast. Toast with butter & jam please.